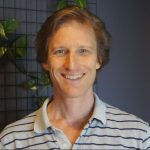 Ben has over ten years of experience as a private practice physiotherapist on the Sunshine Coast. His approach to assessment is to listen to a person’s history of pain and dysfunction and assess patterns of tension in muscle and stiffness in joints. A guiding principal of his practice is that persistent pain is often due to irritation of nerves by muscle tension. Determining which muscles are the source of the irritation is the first step in being able to relieve such pain. Decreasing tension in those muscles is the next. Ben uses sensitively and accurately applied massage or dry needling with acupuncture needles together with insightful exercise prescription to provide pain relief and improved function. Physiotherapy has an important part to play in a holistic health practice not least of all because irritation of nerves or poor circulation from muscle tension or poor movement patterns contributes to pain and sub-optimal organ function. Gaffney BT, Hügel HM, Rich PA The effects of Eleutherococcus senticosus and Panax ginseng on steroidal hormone indices of stress and lymphocyte subset numbers in endurance athletes. Life Sci. 2001 Dec 14;70(4):431-42. Chan Gunn, C The Gunn Approach to the Treatment of Chronic Pain: Intramuscular Stimulation for Myofascial Pain of Radiculopathic Origin, 2nd edition. 1996 Churchill Livingstone, London, U.K.
Furlan AD, van Tulder MW, Cherkin DC, Tsukayama H, Lao L, Koes BW, Berman BM. Acupuncture and dry-needling for low back pain. Cochrane Database Syst Rev. 2005 Jan 25;(1).